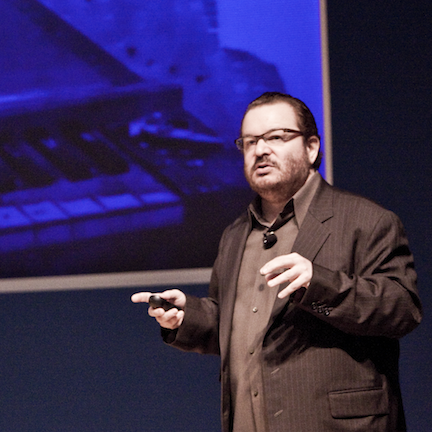 Jeffrey Zeldman, founder of Happy Cog studios. We asked Jeffrey Zeldman, founder of A List Apart and Happy Cog design studios, about the things to consider as you go from being in business to being a business. Zeldman, who’s also authored Designing With Web Standards and A Book Apartand co-founded design conference An Event Apart, started Happy Cog as a one-person studio. He had plenty of advice to professionals on starting an agency, staying original, and riding out the lean times. Design—these can add up, so start with what you need to work and collaborate well. Spring for software like Adobe Creative Cloud, OmniGraffle, Sketch 3, or Pixelmator, then stock up on cool free tools like InvisionAppfor prototyping. You don’t want someone to hire you because you’ve designed twelve things exactly like the thing she needs you to design. That’s how studios burn out. You want someone to hire you because you do better research, ask better questions, and come up with better solutions. Don’t be a one-trick pony. Be a designer.